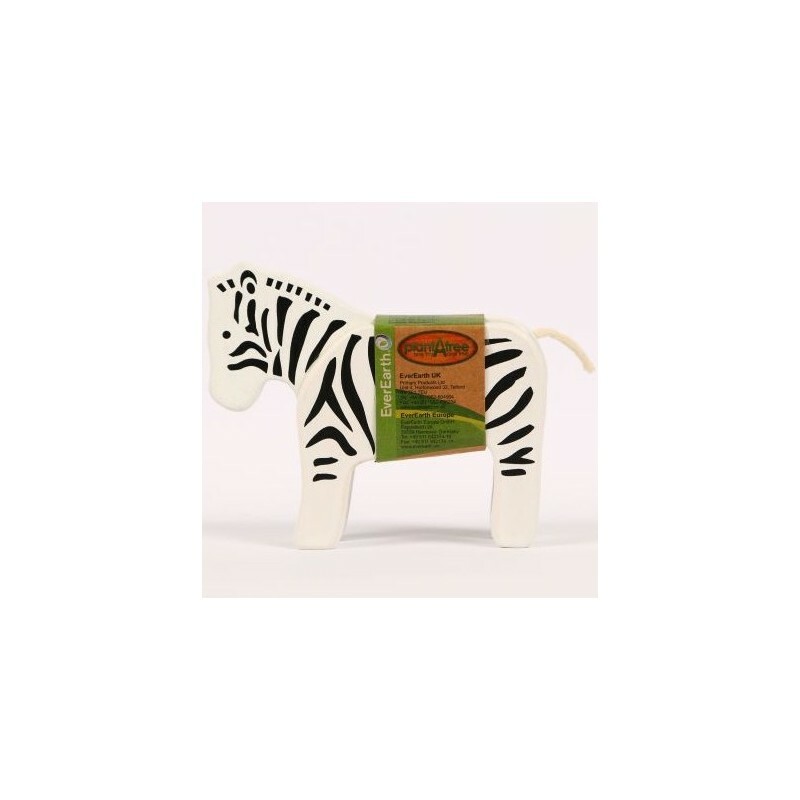 This wooden zebra toy is made from sustainable bamboo and painted with water-based paints. 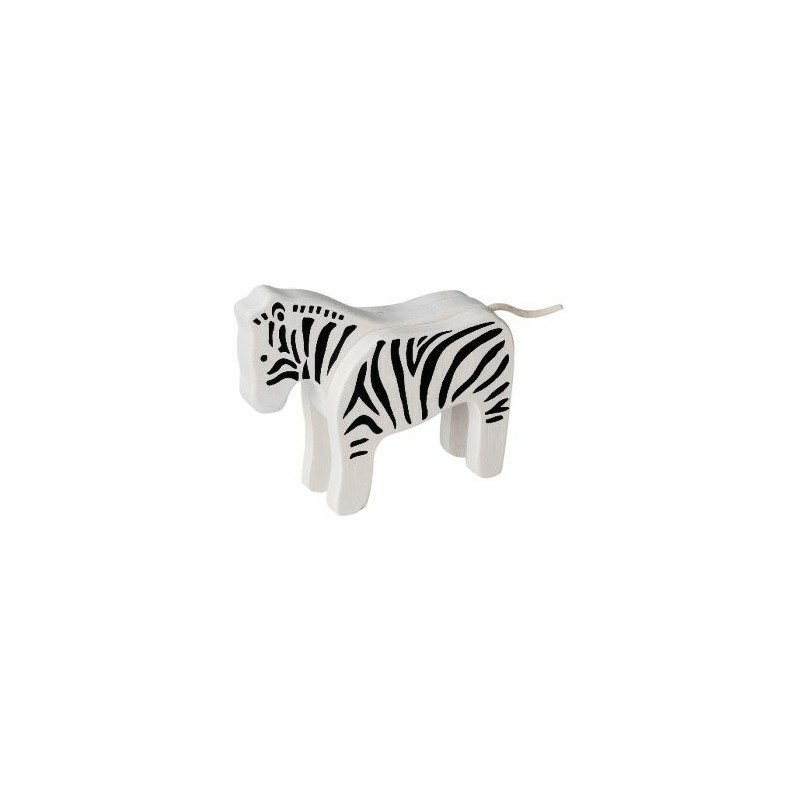 Suitable for children aged 2+ years. 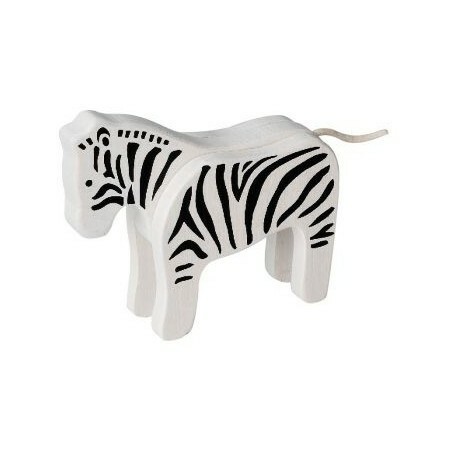 Wooden painted zebra with string tail. 10cm x 12cm x 3cm / Bamboo.